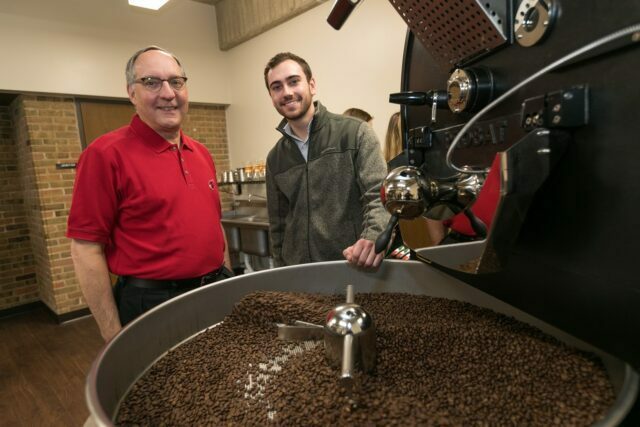 NAPERVILLE, Ill., U.S. – The North Central College Coffee Lab ceremonially roasted its first batch of coffee beans last Friday at a “First Crack” event held in the new, 450-square-foot, on-campus facility. The lab is one of only a few college-operated facilities in the nation dedicated to studying the craft of coffee. North Central’s is the first with a primary focus on the business of coffee—from sourcing, to supply chain, cost accounting, marketing and sales.